I just love the color of the nail polish! Following u on twitter and RT this giveaway as well. 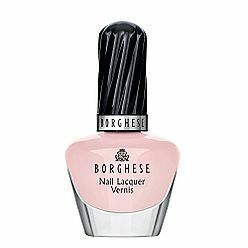 As Angel I don’t like to see others suffers including animals and I think its great that Borghese does not test on animals. And flying around in this weather has made my nails looks bleh. Need something that will make them look good in a short time. I don’t own any nail polish at all, so this would be great for me to win. I can’t twitter because I have No cell phone, but I’d really like to win some cuticle remover. This is the main reason I like lipztickandluxury.com. iKller posts.